You can now Host a Super Mario Party in your own Mario Party room! 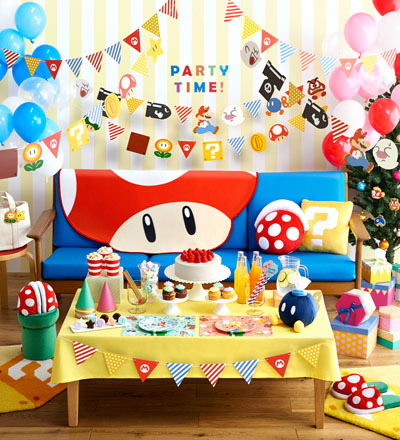 With the new upcoming line of Super Mario Home and Party Goods you can decorate your room with colorful mushrooms, Mario's, Boo's and other Super Mario characters and icons! The line exists of 24 items including party supplies and home decoration items. Will you throw a Mario-themed birthday party?? 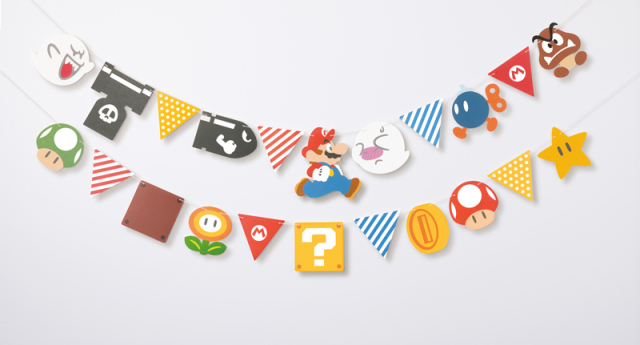 The first step to make your home festive is by using this Mario-themed Garland, so cute and colorful! For 1300 yen or $11 you get not only one but two strings of your favorite characters and icons! If that isn't enough than you can use these wall stickers! Stick them all over your house to brighten up the mood of every Mario fan. 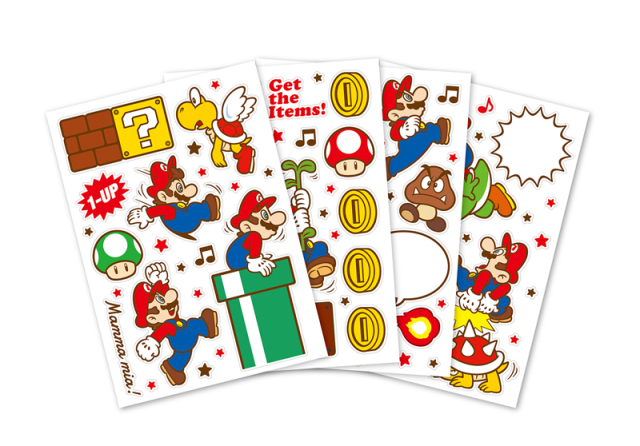 for 1800 yen or $15 you get these awesome stickers than come in over 30 varieties with Mario characters and icons. Of course a party isn't complete without party snacks and drinks. 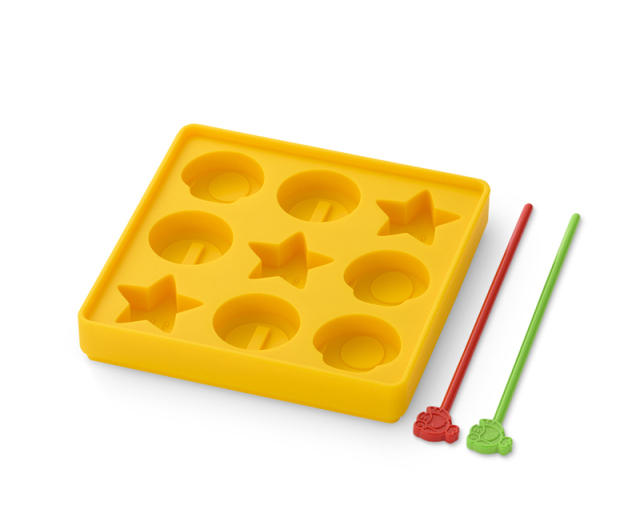 With this molding tray (2800 yen, $25) you can make the cutest ice cubes and give each guest a drink with their own Cheep Cheep shaped mixer! 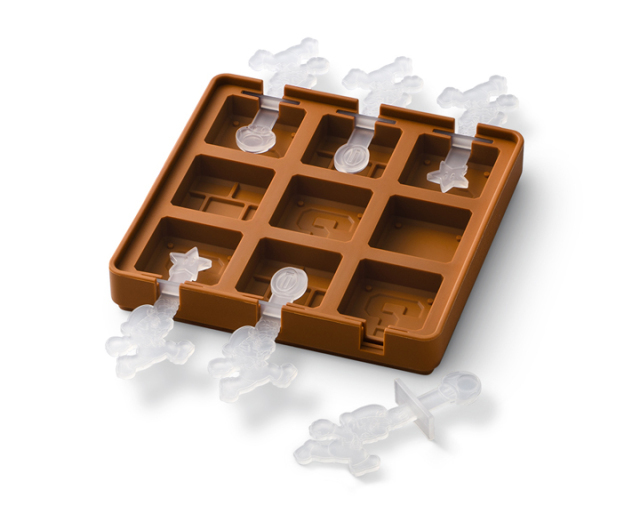 Or what do you think of this mold which creates small item boxes and brick blocks? (2800 yen, $25) Use it to make ice cubes, chocolates, Popsicles, it's time to get creative! 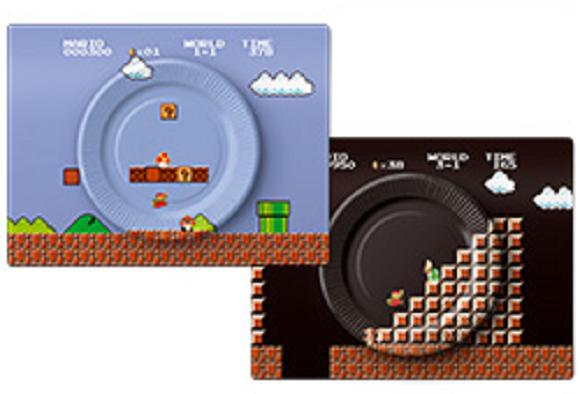 For your party you need some Mario-themed plates and lunch mats as well! These look like Mario levels and are almost too awesome to use! 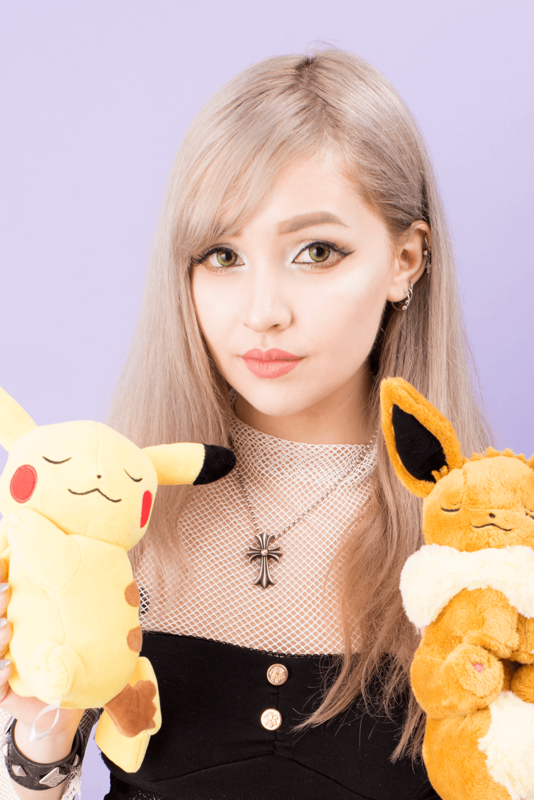 For only 1300 yen or $10 you will get a set of 10 with five of each variety per set! The plates and lunch mats match completely and create a cool 3D look! These plates are adorable too! 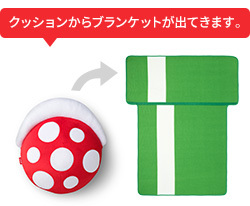 In case your guests get cold or wanna be comfy you can hand them one of these foldable mini-blankets! Shaped like a mushroom or pipe they can transform into a block or piranha plant to make them more compact after use! 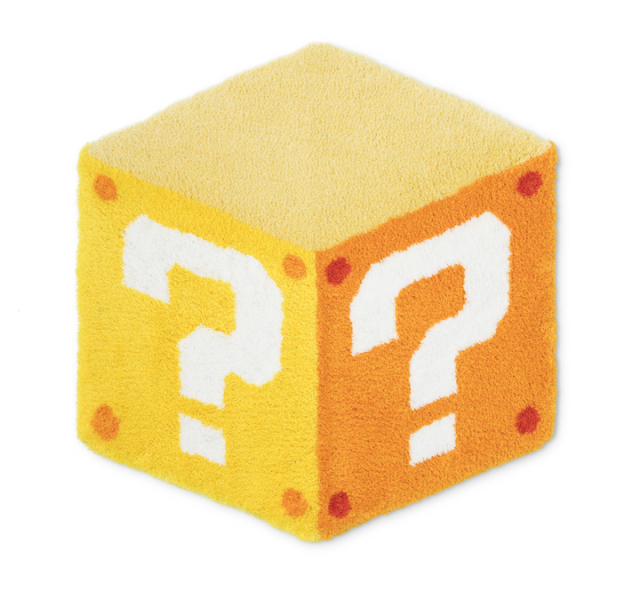 These fuzzy mini-blankets cost 6000 yen or $50 each. Another way to keep your feet warm is by walking around wearing these Piranha Plant Slippers! 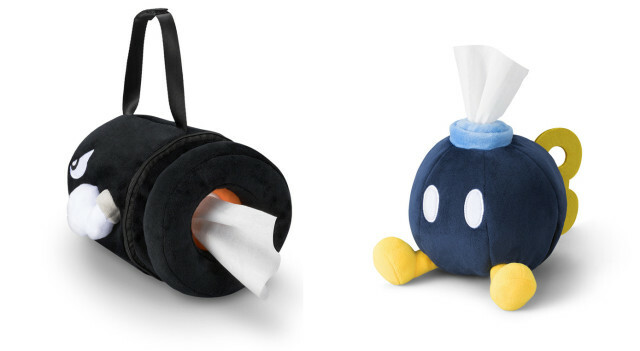 (3800 yen or $32) they're so adorable, you will be the star of your own party! How can I get these adorable items you'd ask? Unfortunately there's no official release date but they will be released somewhere mid-December! Get these goodies in time for your next birthday or maybe a New Year's party! 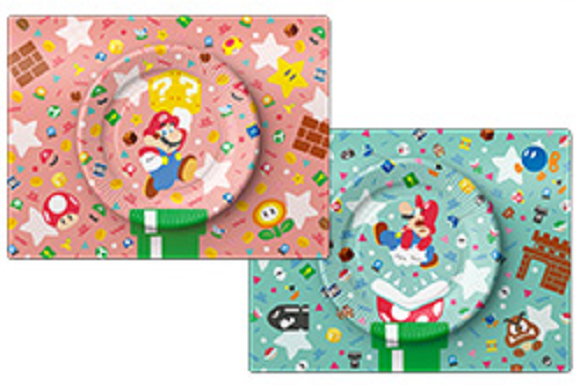 Keep an eye on the website of Nintendo so you won't miss out on these kawaii Mario party goodies! Do you love Mario? Have you ever thrown a theme party? Let us know in the comments below! Don't forget to check out our recent blog posts! What about this delicious new Kit Kat flavor? If you like crazy food you should definitely check out this post about Japanese fried oyster!